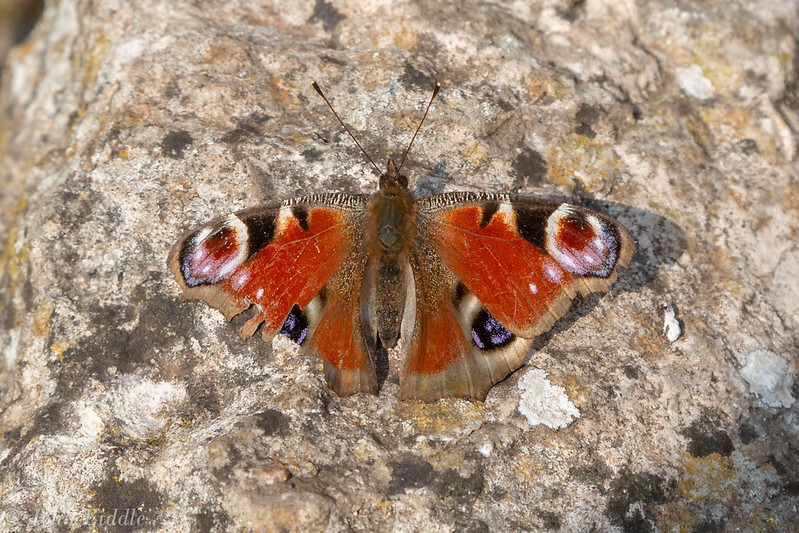 From the rather tattered state of the wings I assume that this is one of last year's that has overwintered. It spent a considerable time just soaking up the warmth from the sun (and presumably from the stone it was on). Nice one John - yes would certainly have spent the winter in hibernation, I had about dozen hanging from the wood beams in the Tractor Shed over the winter, all gone now. I had about dozen hanging from the wood beams in the Tractor Shed over the winter, all gone now.